The County of San Diego Communications Office is reporting that a record number of county employees will be hitting the streets next week to help count homeless people in the region. “About 700 county employees have already signed up for the annual Point-in-Time Count, which takes place the last Friday of every January,” according to the county office. The county and the Regional Task Force on the Homeless are still looking for about 200 more volunteers, especially in North County and East County. The count takes place Friday, Jan. 25, 2019 from 4 to 8 a.m. The registration deadline is Jan. 23. The Point-in-Time Count is spearheaded by the Regional Task Force on the Homeless and provides a one-day snapshot of people living on the streets or in short-term shelters; the results are used to apply for federal and state funding to help homeless people and find solutions on how to best serve this vulnerable population, according to the county. Initially brought forward by Supervisor Greg Cox, this is the sixth year the county has recruited employees to help with the effort. “The County Board of Supervisors feels the count is so important, it authorizes employees to participate in the count on paid County time. 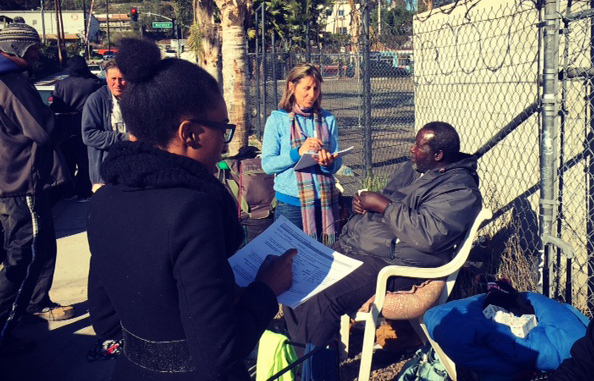 Last year, more than 500 employees helped count homeless people in San Diego County,” according to the county office.